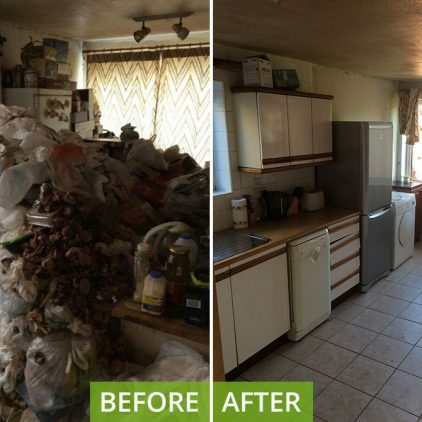 Spotless Cleaners was contacted by the customer wanting our help to clear and clean his relatives property. 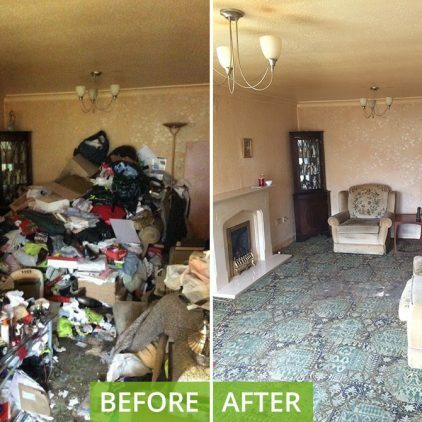 The customer explained the property was in a really bad way full from floor to ceiling and not being able to move through the property. After the viewing the property we realised the extent of the work that was needed and it would be our biggest challenge yet. 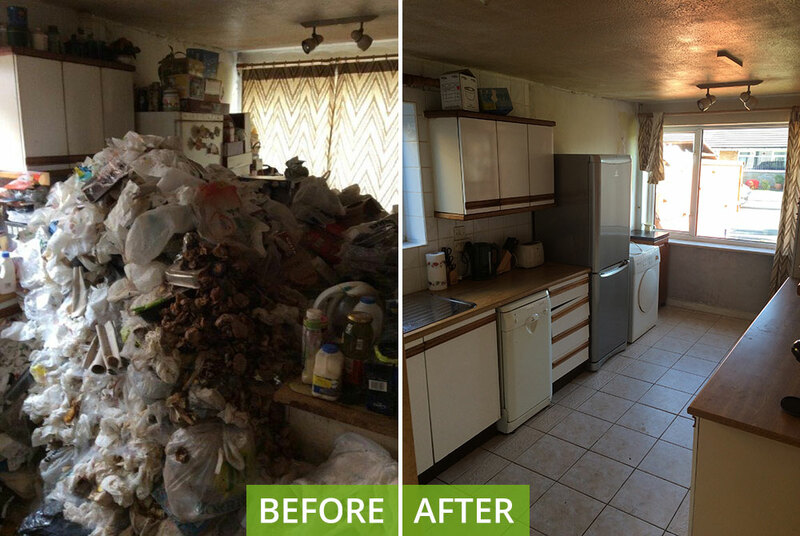 A challenge we welcomed and wanted to help change this persons home life for the better. We come up with a plan of action and briefed the team on exactly what they was facing. We had all our team prepared to go into the property with correct PPE and cleaning products. Each room had to be sorted between what was rubbish and what was being kept. Bin bag all rubbish in each room. Empty all the rubbish into 3 large skips. Remove any furniture not being kept. Once all the rubbish was removed the cleaning started. Remove all cobwebs from all rooms. Deep clean to bathroom upstairs and down stairs. Carpet and furniture cleaning (carried out by eco steam clean). The job was completed in 5 days and with tears to the eyes of the customer we knew we had done a great job. 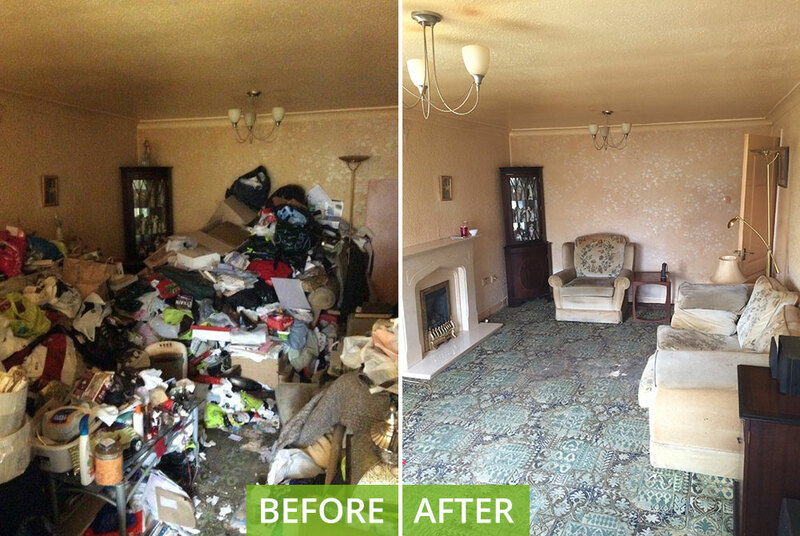 The hard work and effort put in by the Spotless team was worth it to see the end results. I approached Paul at Spotless with a mammoth task, his team done a superb job and i couldn’t recommend them enough.